← It’s only a text away? Memory Institutions: Still useful in today’s society? To say that the world has increasingly become more tech-savvy in the last decade would be an understatement. Technology plays such a predominate role in today’s society, that most of us cannot go a day without updating our status on Facebook, tweeting to followers on Twitter, updating our profile on LinkedIn, or checking into Foursquare. Taking a proactive approach and implementing these everyday habits into practical communications vehicles is a challenge many organizations must seize and utilize to their benefit. However, for some organizations, including memory institutions, technology has had the opposite effect. Libraries, museums, and archives are at risk of becoming obsolete with the advancement of the Internet, including social networks and online databases. However, this does not take away the value or benefit of libraries for our communities. Memory institutions can remain a practical resource for the public if they adapt to our ever-changing society, provide current information, and prove their credibility. In order to stay relevant, memory institutions must adapt to the times. This means that they must execute a social media strategy to maintain a relationship with the public, as well as create a website and databases that the public can access online. They must do this without damaging their mission of providing historical information and knowledge. 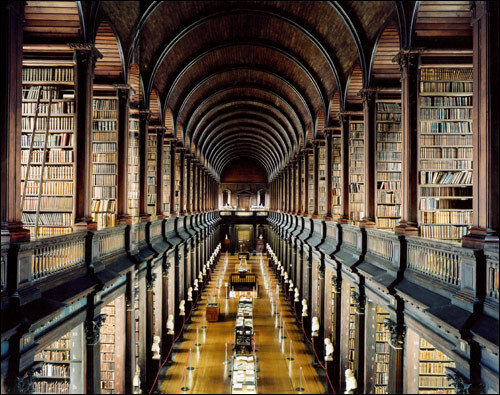 “Libraries exist to preserve society’s cultural artifacts and to provide access to them,” (Chun, 2008, p. 151). It is critical that memory institutions do not lose their essence of promoting greater educational opportunities by trying to stay up to date with the latest technologies. Memory institutions could also adapt to the community by becoming more personalized with the public. “Each visitor should be treated as an active interpreter of a message and the producer of his/her own vision according to his/her expectation, interests, and background,” (Mancini, 2010, p. 61). “The idea has shifted from a place where there are just ‘things’ on display to a place of contact between humans and society that plays a central role in the education of people,” (Mancini, 2010, p. 61). This could evolve the traditional memory institution visit into an extraordinary experience. Libraries, museums, and archives must strive to keep their repertoire of historical artifacts, books, articles, and objects available to the public, current. It is imperative that these institutions have material that is relevant today, in addition to historic knowledge. Having pertinent information appeals to researchers and the general public, alike. Although this type of information is generally searched for online, it should also be kept up to date, so the public can have the option to turn to memory institutions for such knowledge. It is important to remember that Internet use exists as a complement to and not a substitute for library use (Aabo, 2005, p. 206). Memory institutions have an advantage over the World Wide Web as they have proven their credibility by providing the public with historical artifacts, books, articles, and objects for centuries. They do not need to defend their integrity or their reliability because it goes without saying. “Memory institutions have always been rooted in high culture,” (Pannekoek et al., 2010, p. 203). Their status is identified within society through the architecture of their buildings alone (Pannekoek et al., 2010, p. 210). This demonstrates the advantage that memory institutions will always have over the Internet. Also, the atmosphere associated with libraries, museums, and archives cannot be replicated online. “The public library is a public room and a physical place where people meet face-to-face and they also have more focus here,” (Aabo, 2005, p. 206). There is a certain sense of attention and individual concentration present when you are situated in a library; it is difficult to duplicate this focus when you’re on a computer at your home. Memory institutions must cohesively exist with online forms of research accessible through the Internet. By adapting to our ever-changing society, providing current information, and proving their credibility, libraries, museums, and archives can exist in contemporary society. With history developing at lightning speed, it is important now than ever, for memory institutions to change with the modern world. Is there a future for memory institutions? Do you think society will still use them in 10 years? Aabo, S. (2005). The role and value of public libraries in the age of digital technologies. Journal of Librarianship and Information Science, 37(4), 205-211. Chun, W.H.K. (2008, Autumn). The Enduring Ephemeral, or the Future Is a Memory. Critical Inquiry 35.1, 148-171. Also see: http://video.dma.ucla.edu/video/wendy-chun-the-enduringephemeral-or-the-future-is-a-memory/19. Mancini, F., & Carreras, C. (2010). Techno-society at the service of memory institutions: Web 2.0 in museums. Catalan Journal of Communication & Cultural Studies, 2(1), 59-76. I am from Albert Bridge, a small community on the outskirts of Sydney, Nova Scotia. I just recently graduated from the Mount in May 2012 with a Bachelor of Public Relations and a Certificate in Marketing. I enjoyed my educational experience so much that I decided that I would continue and begin my Master of Public Relations! I have a keen interest in strategic communications, social media and event planning. I love traveling and experiencing new cultures. When I’m not busy planning my next trip (big or small) I enjoy spending time at home surrounding myself with family, friends and the cutest dog in the world. Gallery | This entry was posted in media culture society and tagged archives, history, Internet, libraries, memory institutions, museums, society, technology. Bookmark the permalink.